On May 2, Novus joined Scott Hartman, John Fedchock, Jeremy Moeller, Mark Lusk, Jeannie Little, Ron Barron, Lisa Albrecht, the Eastman Trombone Choir and a full audience to celebrate Dr. John Marcellus‘s career at the Eastman School of Music. It’s beyond words the honor that it was to perform on the concert. So much of what I know and strive to be comes from John Marcellus. For our portion of the event Novus performed two movements from John Orfe’s Parable of the Sower. The original parable talks about the things that keep the farmer’s seeds from growing to their full potential, John’s piece expresses those ideas in musical form. The group thought it fitting to perform a piece with such a direct relation to teaching. While I didn’t get many photos from the event itself I did manage (with friend, Mike Ketner’s, help) to get some images from the rehearsal before the performance. Mark Lusk conducting the choir. Kim Scharnberg, composer, in background. Trombonist, conductor, and pedagogue Dr. John Marcellus was appointed Professor and Director of the Eastman Trombone Choir in 1978 after a worldwide search for an heir to the legacy of Eastman’s legendary Professor of the Trombone, Emory Remington (1922-1972), the “Chief.” “Doc” Marcellus is internationally known as a soloist for his performances and recordings as Principal Trombone of the National Symphony Orchestra and as soloist with the United States Navy Band. 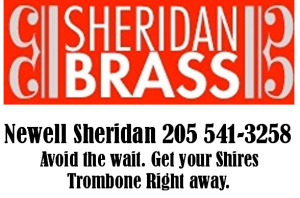 He is a respected brass pedagogue and international recording artist with a stunning record of former students successfully winning major symphony orchestra auditions and appointments to some of the most prestigious music faculties in the world. Dr. Marcellus is currently a member of the Eastman Brass, Principal Trombone of the Chautauqua Symphony Orchestra, Music Director of the Brighton (NY) Symphony Orchestra, and a performing artist for Courtois Trombones of the Buffet Crampon Company. He is a former member of many fine ensembles, including the National Symphony Orchestra, the National Ballet Orchestra, the American Ballet Orchestra, the Boston Pops Orchestra, the National Symphony Brass Quintet, the Washington Theatre Chamber Players, and the Contemporary Music Forum of Washington. Dr. Marcellus has appeared as guest conductor at Interlochen Center for the Arts (1982); Penfield Symphony; US Naval Academy Band; and the Chautauqua Symphony Orchestra (1995, 2005). 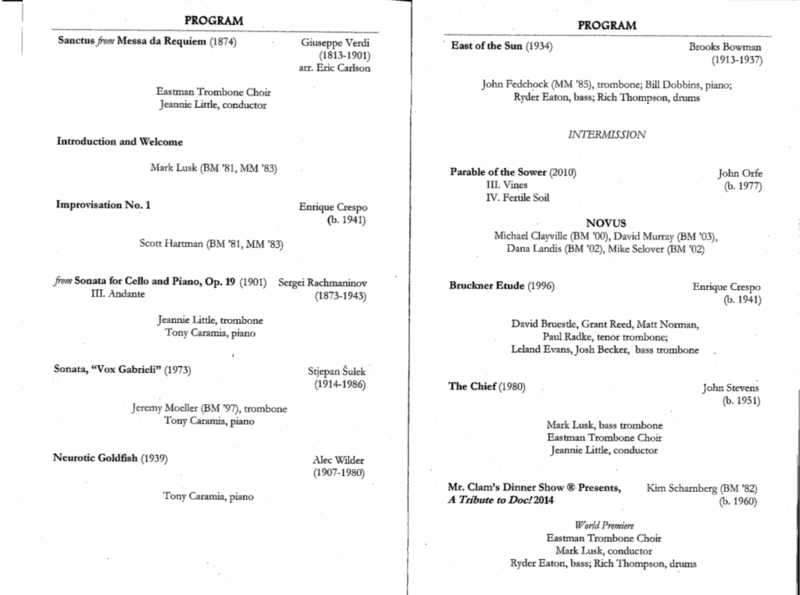 This entry was posted in News and tagged Dinosaur, Eastman School of Music, John Marcellus, Knight, Novus, Speed Suit, Trombone on May 6, 2014 by mich5812.